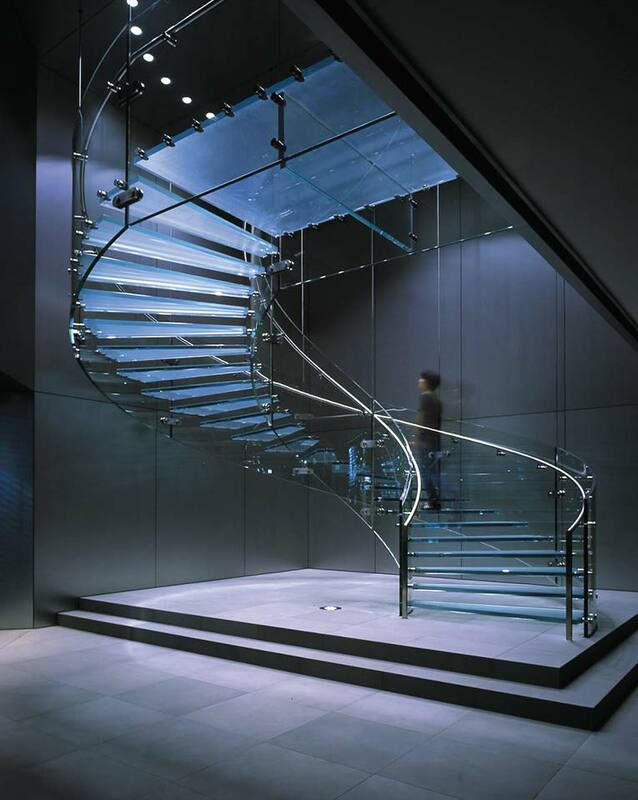 Key, innovative glass elements including glass staircase. In 2001 the first Apple Store was completed. The 2.4m long 50mm thick treads were fabricated from 4 sheets of annealed glass laminated with sentry glass, an interlayer material developed for hurricane resistant windows. This version of the staircase used the same tread technology and extended the technology by the use of chemically toughened balustrade beams.